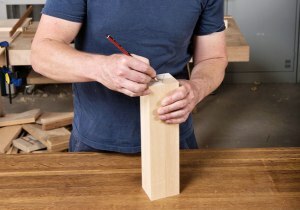 Next to developing good sharpening techniques, I would reckon that solid joinery marking skills are the next to master, says Vic Tesolin. Changes to abrasives and backings, not to mention some handy tips really can make hand sanding an enjoyable task, writes Richard Vaughan. 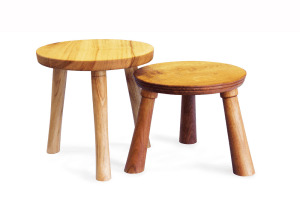 Figuring out the right angles for legs and stretchers and then drilling mortises for them is easier than you think, writes Peter Young. 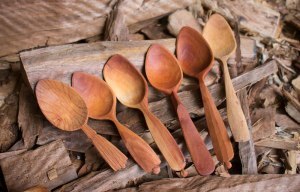 A few tools and branch timbers are all you need to get started carving eating spoons. 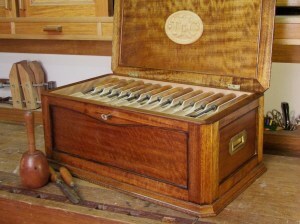 Troy McDonald completes the final stages in constructing a hand tool chest for his carving tools. 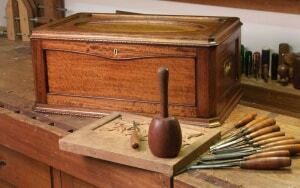 Troy McDonald makes a traditionally styled chest to house his treasured tools. Damion Fauser shows how marking systems can streamline your work and help prevent mistakes. 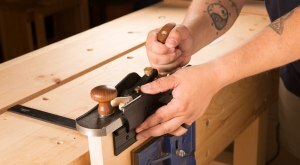 John Kennedy explains why time spent making jigs and templates is well spent. 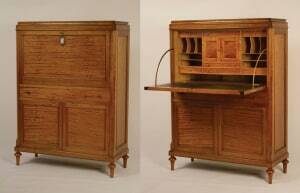 Troy McDonald’s drop front bureau combines features of neoclassical style. 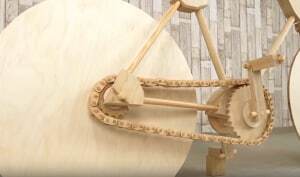 A fun project that combines basic materials and processes. 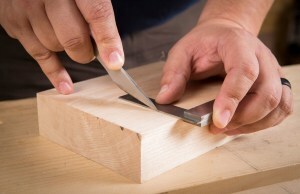 With surgical precision, Theo Cook shows how to cut dovetails with complex angles and achieve a perfect fit. 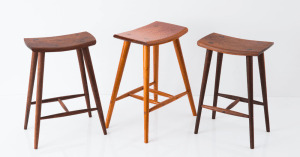 Richard Raffan recreates a piece of furniture that recalls his family history. 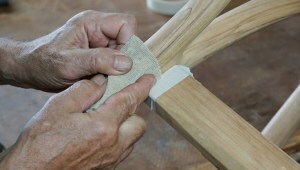 Follow Ian Wilkie’s method and tips to make your own attractive and useful hand tools. 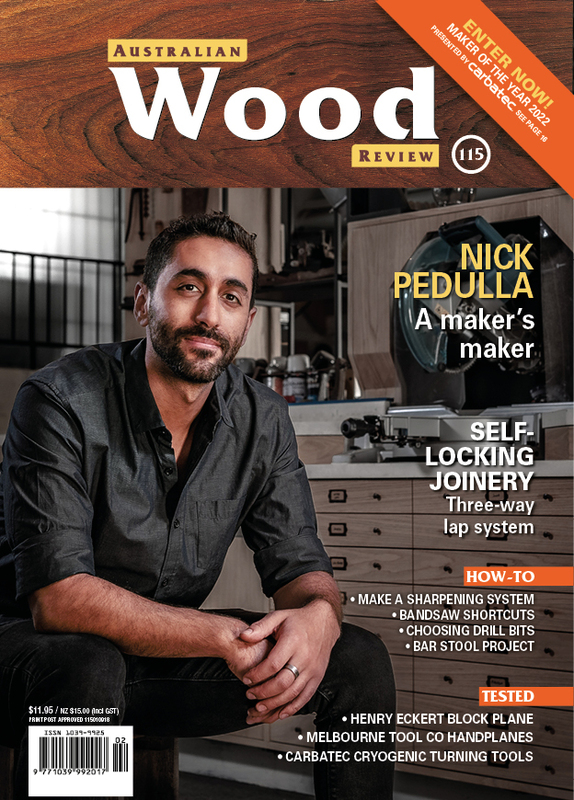 In issue 100 of Wood Review Damien Wright discusses the politics of designing and making. 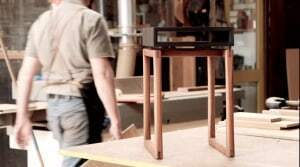 This video gives some insight into his own making processes. If you’re starting out, Vic Tesolin says these are the planes that will offer you the most for your money.